If you are very interested in working with animals and want to make a career out of it, then earning a zoology degree online may be something you are interested in doing. Zoology is the study of the biology of animals. A zoology degree can be used to build a career as a zoologist or in other related fields working with animals. However, there are a number of things that should be considered when looking to obtain a degree in zoology. The main thing to be aware of is that it is going to be difficult or impossible to earn an actual zoology degree online, since the degrees require lab and field work. However, you may be able to take some of your general education courses online or you may be able to earn an online degree in a related discipline if e-learning is the only option for you. Studying to become a zoologist is generally going to require that you complete in-person lab or field work, which is not possible with most online universities. 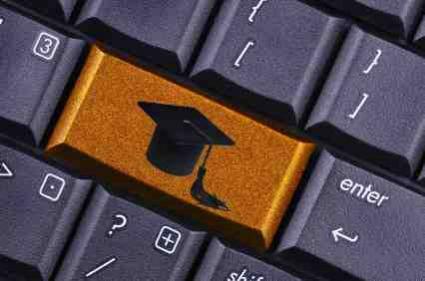 However, there are a number of online institutions that offer degrees that are similar to a zoology degree. Some degrees that may offer a similar educational track include those in wildlife management and environmental consevation. If you are one of those people that needs a flexible way to earn a degree, then choosing one of these related degrees may be the best option for you. Before you choose any online school, whether it offers a zoology degree or a degree in a related discipline, you do need to make sure that the particular university that is chosen for study offers an accredited degree program. Doing this will ensure that you will be able to actually use the degree to get a job or to apply for graduate-level education. When you are trying to obtain a zoology degree, it is very important that you take certain courses. As with most degrees, there are usually a set number of required general education courses that provide a foundation (as much as 60 hours). Your other remaining credits are based around the zoology major and are focused on helping you to better understand how living organisms function. Some of the courses that you can expect to take while pursuing a degree in zoology include animal biology, animal related policy issues and conservation courses, just to name a few. It is very important to note that while earning a zoology or related degree online, it is highly recommended that you seek an outside opportunity that will allow you to work directly with animals of some sort. In order to obtain employment as a zoologist, having some form of hands-on work with animals is essential. Given that many online degrees are more focused on the actual academic materials, you should consult with the university about opportunities to gain hands-on experience working with animals in order to support your degree. In general, it will be necessary for you to continue your education beyond a bachelor's degree in order to obtain a job as a zoologist, especially if you obtain a zoology degree online. Many zoologists have a minimum of a master's degree and most have a doctorate. Upon gaining more education, you will have many opportunities to increase your ability to work in a variety of places. People with advanced degrees in zoology are often hired to work as research assistants or as teachers. Obtaining a doctorate in zoology offers even more opportunities for individuals to obtain employment working at the collegiate level as a teacher or administrator. With advanced education, the possibilities for advancement are much more pronounced.